I love a bit of online shopping, in fact I find it a lot less stressful than venturing into town, walking through shops and queuing for what seems like an eternity, so when online luxury lifestyle store Achica got in touch and asked me, if I wanted to spend £50 on their website, I couldn’t help but agree. Seeing that Achica is a luxury lifestyle store, I didn’t expect to buy too much, but I managed to bag some real bargains. I’ll list all the items I bought below and will also write down their actual retail prices, so you can get an idea of how much I saved by shopping with Achica. The first column shows you the price that I paid with Achica, the second column gives you an overview of the actual retail price. So let’s have a closer look: At Achica, I paid £46.74, whereas I would have paid £63.11, if I would have purchased the items above . This makes a difference of £16.37. Okay, at first glance this doesn’t seem like a massive saving, but add delivery charges from various retailers and you will notice that you can easily spend a small fortune. offers change daily and I really enjoyed checking what new deals are up for grabs, but getting new offers every day doesn’t only make your shopping experience more exciting, it also means that desired items might sell out quite quickly. My tip, sign up to Achica’s daily newsletter and keep up to date with daily deals. 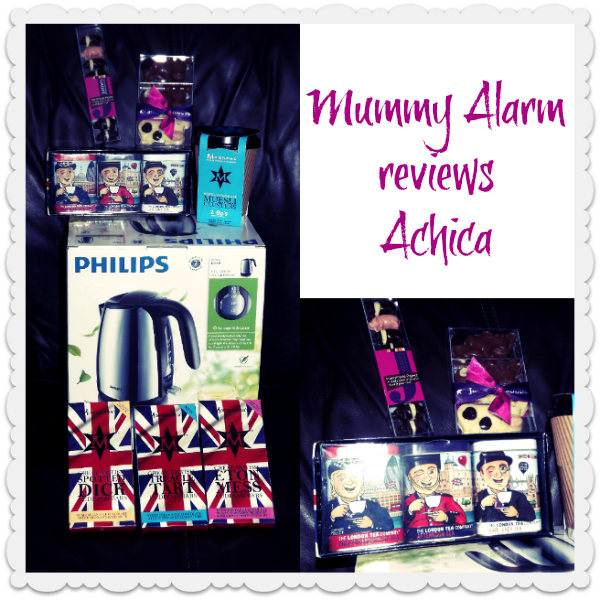 All in all, I really enjoyed my shopping experience with Achica. The purchasing process was simple and reliable and all products were of excellent quality. The downside is that delivery times are a little longer than average, but I can live with that seeing that a make a reasonable saving. Disclosure: I was provided with a £50 voucher for the purpose of this review. As always, my opinion is nothing but honest. I too use this site and think it is great for saving money! There are a few other sites similar where you can pick up some real good bargains – I much prefer shopping online than battling through sales!